Those of you who keep a close eye on your social channels may have noticed that we’ve celebrated a rather special birthday recently, as we mark our 10th year in business - making us older than both Airbnb (2008) and Uber (2009)! 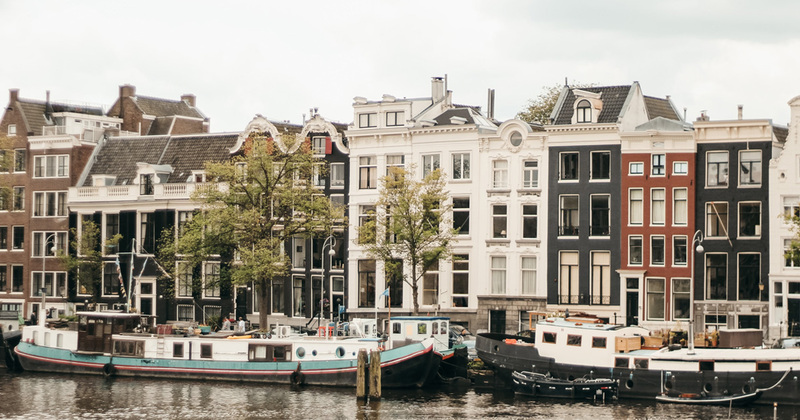 We chose Amsterdam because it’s a city that has it all. Small enough to be fully accessible by foot or bike, it’s steeped in rich history and culture and is rarely dull. It wasn’t all canals and coffee shops either. Highlights included getting a unique look at the human body at Gunther Von Hagens’ eye-opening Body Worlds, whilst others got their Pop Art fix at the recently opened Andy Warhol exhibition, before all reconvening over an obligatory waffle and beer. With sightseeing out of the way, the trip culminated in a rooftop party at the very stylish Volkshotel, named after 'De Volkskrant' newspaper which was published there before the building was transformed into the vibrant creative hub you’ll find there today. It was certainly a night to remember and for some, who shall remain anonymous, was still going strong as morning broke over Amsterdam. Needless to say it was a memorable few days and is best summed up in our selection of favourite snaps below, kindly taken by Scotland's best export, Tom Joy. Since returning home, people have asked how we can justify such an ‘extravagant’ trip, and to me the answer is plain and simple. In a business like ours where the well-being and core health of your team is fundamental to your success, then surely investing in that team is one of the best decisions you can possibly make? It builds bonds, cements friendships and helps iron out any of those inevitable day-to-day business creases. To put things into perspective (through the use of some simple man-maths) we’ve undoubtedly covered the cost of the trip in saved recruitment fees over the last 10 years alone. How? By instead investing in building a genuine culture and team, that in-turn organically attracts other like-minded talent. I certainly know where I’d rather spend my money at least!